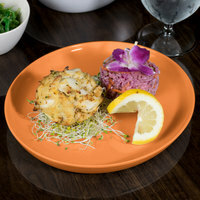 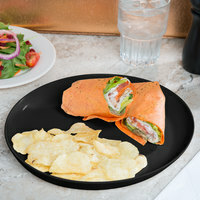 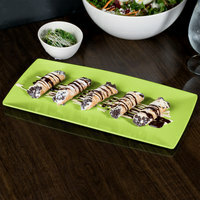 This GET BambooServe dinnerware is made from an innovative, eco-friendly material that combines bamboo and peach gum to create plates, platters, and bowls that are durable and light weight. 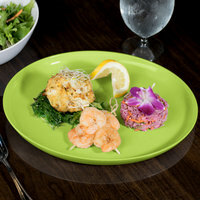 Whether you are committed to protecting the environment or you’re simply looking for unique and interesting serving pieces, BambooServe dinnerware is a great choice. 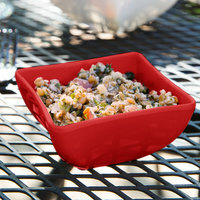 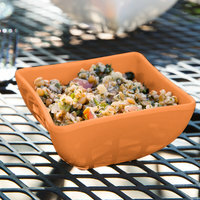 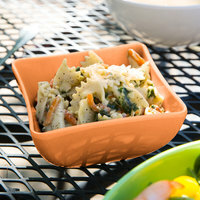 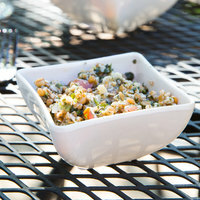 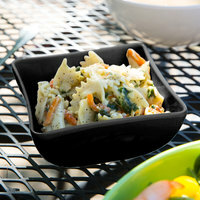 Best of all, this dinnerware is dishwasher safe, so cleanup is easy. 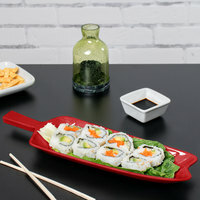 Also make sure to check out other great items from GET Enterprises. 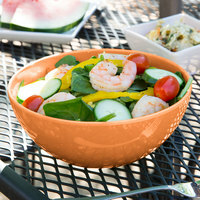 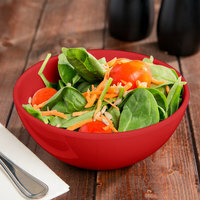 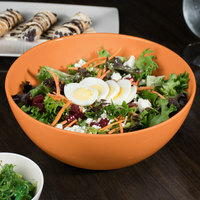 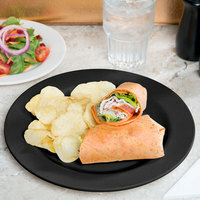 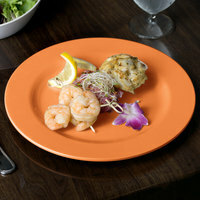 GET’s BambooServe collection of dinnerware includes plates and bowls in several shapes and a variety of colors, including black, orange, red, and green. 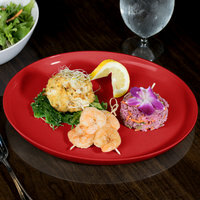 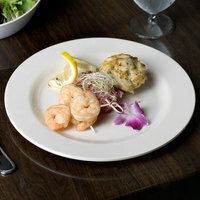 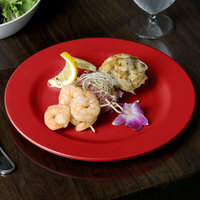 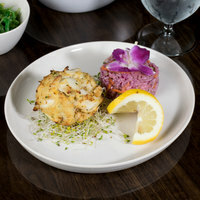 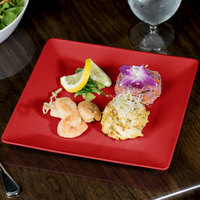 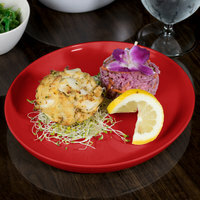 Perfect for an Asian fusion restaurant or any establishment with a modern style, these dinnerware pieces feature unique designs that create a striking presentation. 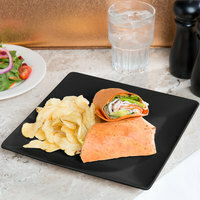 Additionally, this collection is made of natural materials that are environmentally friendly yet durable enough for daily use in your busy restaurant. 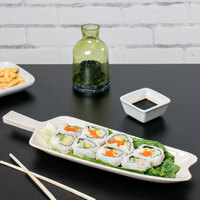 To find other eco-friendly items, check out our bamboo trays, biodegradable grocery bags, and eco-friendly take-out containers. 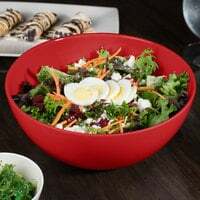 If you're wondering where to buy GET BambooServe dinnerware, we have a large selection of GET BambooServe dinnerware for sale at the lowest prices.